You won’t believe what they have. Doink. Apple famously said there are a thousand noes for every yes. Let’s look at one of those noes which is helpfully brought to us today by Vivo. To be clear, they’re not a sponsor. We’re just going to look at one of their dumb phones. Writing for the very nice people and the sound of an out-of-tune piano coming from the attic of an abandoned Victorian house over at Business Insider, Antonio Villas-Boas tells us about the new Android hotness. All of the innovation is on Android right now. All the doohickeys. Indeed! 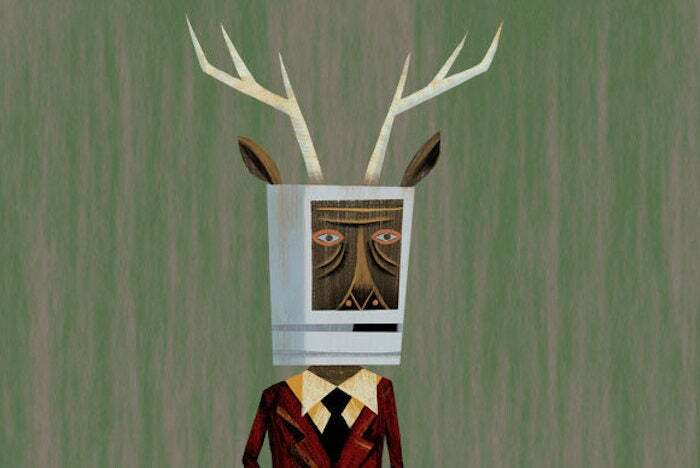 The notch is certainly a design compromise, one The Macalope is not really crazy about, but most iPhone X owners don’t seem to notice. Guess what, though: a little doohickey that pops out — doink! — so you can take a selfie is also a design compromise. Unequivocally! There is no debate! Doohickeys are simply better than notches. Everyone agrees. So, the Vivo Nex is missing the notch! Huzzah! And, apparently, a “t”. Or, maybe a trademark-violating “us.” Who’s to say? You know what else the Vivo Nex is missing? Unlocking using facial recognition. The phone does have an under-screen fingerprint sensor, but it remains to be seen how well that will work. Apple didn’t seem so hot on the technology. Oh, and only people in China will actually get to see how well it works. The Vivo Nex will only be available in China, but it should be an inspiration to smartphone makers who sell phones elsewhere. For the selfie-takers out there, I haven't tested the Vivo Nex to see how quick — or slowly — the selfie camera pops out of its hiding place. If it's slow, it might not be ideal. Wow, we’ve come a long way from our youth when we were all very clear that doohickeys were “a good thing,” haven’t we? Well, look, if doohickeys aren’t your thing, just wait. Because you’re going to be blown away by what else the Android ecosystem has to offer. Lay it on us, BGR’s Chris Smith. There’s a chance… next year’s phones might be faster than this year’s phones. Remember, you read it first on BGR. And then you re-read it because you were like “What the…?” and then you closed the lid of your laptop and just folded your hands on your desk and stared off into space for a while until you regained some semblance of sanity. That’s what you did, Sandra. We all saw it. But, the sad fact is, you’ll never shake it. That headline will be with you forever.